As a work of great literature, A Sand County Almanac powerfully reshapes our understanding of the relationship between people and land. 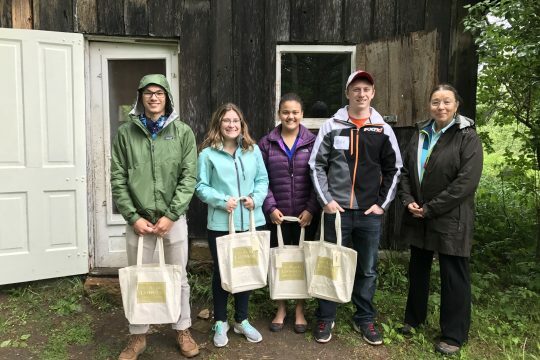 The Wisconsin Aldo Leopold Writing Contest uses Leopold’s ideas to inspire students to participate in the evolution of the land ethic through the written word. Each year students in grades 9 through 12, in public, private, and home schools in Wisconsin are invited to consider a writing prompt or question and create an essay response in 500 words. Three winning essays are chosen from each category (9th-10th grade and 11th-12th grade). Winning essays are featured on the Aldo Leopold Foundation website and may be printed in The Leopold Outlook magazine. Winners also receive a cash award, a copy of A Sand County Almanac, and memberships to the Aldo Leopold Foundation, International Crane Foundation, and the Aldo Leopold Nature Center. An awards ceremony will take place at the Leopold Center in Baraboo, WI on Saturday, May 19. Students are encouraged to read and reference the “Foreword” and other essays from Leopold’s A Sand County Almanac in their responses. Aldo Leopold loved the land and its wildness. Describe a place in nature that you love. Why is it wild to you? The submission deadline has passed. Check back in late fall for 2019 contest information. Winning essays will be posted on the blog periodically. Check back often for links! The 2018 winners pose at the Shack. From left to right: Lucas LoBreglio, Grant Herfindahl, Will Scheder, Ethan Frank, and Ansel Brennaman. Not pictured is Clayton Rodriguez Gould.